Can you believe it's already October? This is my favorite season. I love all the colors, smells and of course the tasty hot drinks. And I'm sure you already know my love for coffee, it's something I drink every single day. Hot or Cold. Speaking of coffee, what's your favorite seasonal creamer? Pumpkin Spice? Salted Caramel? My new favorite is Dulce de Leche! Never heard of it? Me either, until I decided to make my own. It's so easy to make and all you need is 2 ingredients. La Lechera Dulce de Leche and Milk! This coffee creamer is delicioso! Oh yeah! Did you know that October 11th is World Dulce de Leche Day? What better way to celebrate than with this sabrosa Coffee Creamer! Are you game?! With a 2 ingredient creamer, you just can't go wrong. Let's get down to it. 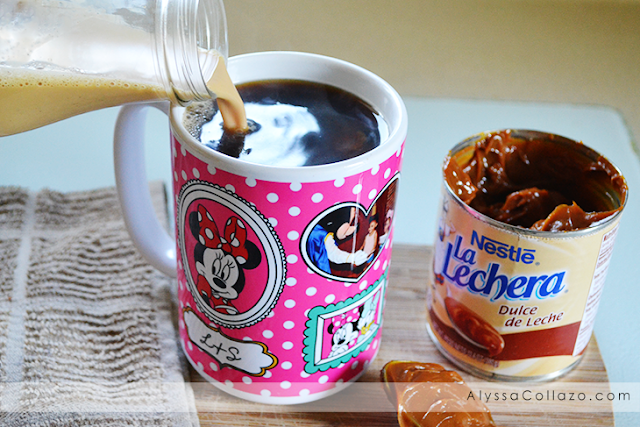 For my Dulce de Leche Coffee Creamer all you need is La Lechera Dulce de Leche and Milk. Grab yourself a pot. 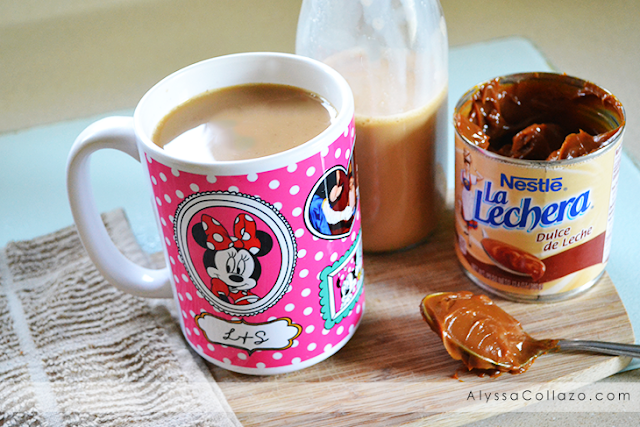 Pour in 2 cups of milk and 3/4 cups of La Lechera Dulce de Leche. On medium low heat, whisk until smooth and melted together. Transfer creamer to a jar and let cool before covering and storing in refrigerator. Serve in hot or iced coffee! I added a little cinnamon for a yummy kick of flavor! 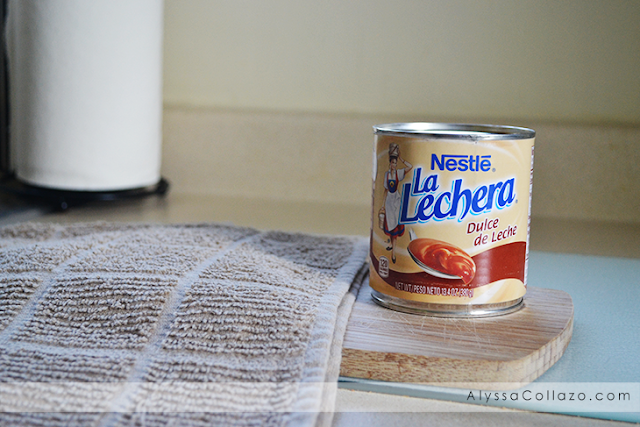 Thank you to Nestlé for sponsoring today's post and inspiring me to try Nestlé® La Lechera ®! 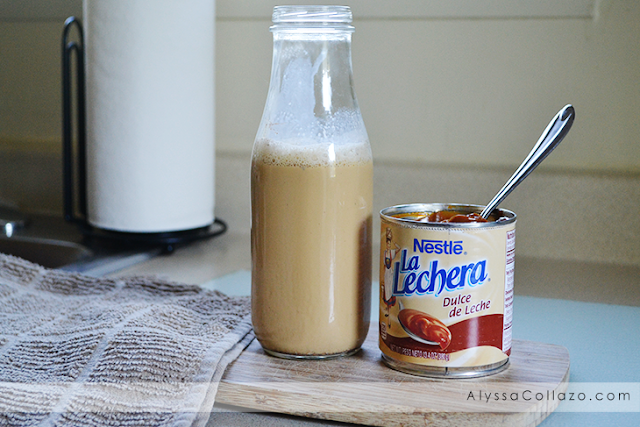 Do you have any La Lechera Dulce de Leche inspired recipes? Lovely to meet another coffee lover! I will try this creamer if I can get it here in SIngapore. I wish I liked coffee. I'm sure this is great. Wow this looks and sounds delicious. Love coffee. I might try to make this myself since I always run out of coffee milk. Nice post. My God! I have to try this!! I'm a coffee and dulce de leche lover! It should be a wonderful combination. Coffee lover here as well I so gotta try this! We love coffee at our house. I have never thought to use this stuff in my coffee! Will have to do for sure! Oh my GOSH! I need that in my life. It's the most delicious idea imaginable. Oh me, oh my! This looks insanely good and is being put on my shopping list RIGHT NOW! I have never tried Dulce de Leche. Sounds really good will give it a try. I don't drink coffee, but that looks good. I may just like it with that creamer. That's something I'll have to look for. This looks like it would taste great. I think I would love coffee if I put this in it. I love my coffee and this looks delicious. I'm gonna have to give it a try. I also can not believe we are in October. I drink coffee more in cooler weather so this is something new I need to try.